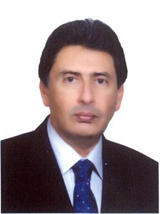 Managing Director, Narkangan Gas to Liquid International Co. Academic Activity: Teaching post graduate courses on Energy Economics and advice post graduate students for their PhD theses. Consultancy work: Consultant in UK and Iran for several organisations and international companies (Shell, Monument, Saga Petroleum, RDS etc) Between 1985-2000. Also Consulting work with the Organization for petroleum Exporting Countries (OPEC), Institute for Political and International Studies, the Institute for International Energy Studies and a number of Iranian organizations engaged in oil, gas and Petrochemicals business in Iran. -Oil Production, Revenues and Economic Development, the Economist Intelligence Unit, QER special, No 18, 1974. -Economic Development of the Middle East Oil exporting States, the Economist Intelligence Unit, Special 54, 1978. -National Oil Companies with reference to the Middle East 1900- 1973, Oil in the World Economy, Edited by R.W. Ferrier and A. Furesenko, Routlego, London, 1989. -The Role of the Multinational Oil Companies in the Development of Oil and Gas Resources in Central Asia and Caucasus, The Iranian Journal of International Affairs, IPIS, Spring 1993. -Political Development in the Persian Gulf and their Impact on the International Oil Market, Iran Focus, Vol. 6 No 7,July -August 1993. -Export of Natural Gas from the Middle East and Central Asia in the 21st Century, CEDIGAZ, November, 1993. -An Outlook for Future Cooperation Among the Persian Gulf States, The Iranian Journal of International Affairs, IPIS, Fall/Winter 1993/1994. -The Evaluation of Recent Gas Export Pipeline Proposals in the Middle East. The Iranian Journal of International Affairs, summer, IPIS, 1995. -Iran’s Role in the Export of Oil and gas from the Caspian Basin, Oil & Caviar in the Caspian, Edited by Charles Gurdon & Sarah Lloyd, Menas Associates Ltd. London, September 1995. -Regional Cooperation for Oil and Gas Export from the Caspian Sea, Iran Today, January 1996, No.2. -Iran-India Gas Pipeline (Challenges & Prospects), Iran Today, March/April 1996. -The Gas Debate, Eghtessad-e- Energy (Energy Economics), Published by Iran Association of Energy Economics, Fall 1996, No1, Vol. 1. PP7-8. -Middle East Natural Gas Pipeline Projects: Myth & Reality, The Iranian Journal of International Affairs, fall 1966, Vol. VIII, No.3 PP 643-652. -A New Perspective on Natural Gas Exports, Iran Today, January-February 1997/ No.11, PP 22-24. -Economics vs. Politics; the Best Outlet for Caspian Oil and Gas, ENVOY, September 1977. -The Need to Restructure Iran’s Petroleum Industry, Middle East Economic Survey (MEES) September 22, 1997. -Prospects for Investment in Iran’s Oil, Gas and Petrochemical Industries, Iran Today, Feb/March 1998, No.19. PP.25-28. -Neka-Ray pipeline, Boosting economic integration of Caspian States”, Iran Today, May/June 1998, pp20-21. -Caspian Exploration Agreement, (A Win-Win Scenario for All). Iran Today, December 1998, pp34-35. -Gas to Liquid in Iran, Middle East Economic Survey (MEES), D1-D5 July 31, 2000. -Iran’s Potential Role in the Development and utilization of oil and Gas of the Caspian Region, The Iranian Journal of International Affairs, IPIS, Summer 2000. -Iranian Gas for India (pipe-dream or reality), Oil, Gas and Petrochemicals, No 9, June 2001(Persian text). -Investment in Iran Opportunities and Challenges, The International Environment and Regional Challenges, Edited by Garcia Abad Quintanal, UNISCI, Faculty of Political Science, Madrid, 2005. L’IRAN TRA MASCHERA E VOLTO, Li Mes (Rivista Italiana di Geopolitica), Gruppo Editoriale l’Esperesso, 2005. -The Need to Restructure Iran’s Petroleum Industr(Revisited After Eight Years). Middle East Economic Survey (MEES) 13 June 2005. -Iran’s Future Gas Development and Export in View of the January 2008 Gas Crisis. Middle East Economic Survey (MEES) February 25th 2008.